Join us on April 24th, 2019 at the Portland Expo Center for the fourth annual DSU Truck Expo from 10:00am - 6:00pm PDT. You are invited to WTA's 2019 Annual Leadership Conference and Vendor Showcase! This year's conference will be an exciting three days of golf, education, and fabulous entertainment - featuring Seattle's own, The Beatniks! Please join us at the beautiful Highlander Golf Course in Eastern Wenatchee on Thursday, May 30, 2019 for our Conference Golf Tournament. A boxed lunch will be available at the course during registration. Registration is from 11:30am – 1:00pm with a shotgun start at 1:15pm. The Advanced Safety Workshop is presented by the Safety Management Council to assist your company in the following areas: how to build a safety culture, navigate your CSA company portal, personal accident investigation, and more. Attendance is FREE for those registered for the Leadership Conference and Vendor Showcase. Use Group ID 'WTA' to book your lodging. Room block released Tuesday, April 30, 2019. Please select ‘Register Online’ to sign up through our online portal. You may also download a printable form to complete manually and mail to WTA directly. Select ‘Download PDF Form’ below. Drivers will compete to see whose industry knowledge and skills outpaces the competition. Participants in the Truck Driving Championships will take a written test, perform a pre-trip inspection, and navigate a driving course designed to push their driving skills to the limit. On Saturday afternoon the champions will be celebrated at an awards ceremony with members of the WTA leadership, the Safety Management Council leadership. The TDC driving course is open to spectators, so if you are in the area please feel free to join us and experience the excitement of the competition. If you are willing, interested or even curious about volunteering for this event, we need a cavalry of volunteers and you would be most welcome to join the team. To volunteer, please email mike@watrucking.org. For registration and information, please fill out the form below and return to mike@watrucking.org, or contact the office at (253) 838-1650 for more information regarding the event. Mark your calendar for June 22, 2019! This year’s Safe Driver and Safe Fleet Awards will be conducted at the beautiful Tacoma Country Club in Tacoma, Washington. As soon as more information regarding this event is shared, please plan to attend this awards ceremony and show your support and pride to the individuals and companies honored for their outstanding safety records. The awards ceremony is organized by the Washington Trucking Associations Safety Management Council. Please take a moment to nominate the recipients of our Driver of the Year and Fleet Safety Awards. Nominations must be received no later than July 12, 2019. Avoiding Today's Detours: Managing Risks on the Road to Success. Come spend the day with Great West Casualty Company as we discuss ways to incorporate safety into your company's overall plans for success. Don't miss out on the opportunity to participate in our informative breakout sessions, sharing perspectives with your peers on various topics affecting the industry. Seats for this FREE event are limited and fill up fast, so be sure to reserve your spot today! Join the Washington Trucking Associations, and the Oregon Trucking Associations for this important day of education on security issues in the trucking industry. Complete agenda will be available soon. Great Golf – 18-Hole Best Ball Scramble! And yes – “Mulligans” available! Great Prizes -- 1st and 2nd Place Team, LD, and KP awards! Raffle for great items! Great Camaraderie – Door Prizes! Great fun for all! Even with the recent guidance by the FMCSA, there is still a lot of confusion in the industry about the proper use of Personal Conveyance as it relates to electronic logs. Not properly managing Personal Conveyance of drivers can lead to violations and fines as well as possible liability in the case of an accident. This webinar will review the recent guidance given by the FMCSA as well as cover best practices and policies relating to managing Personal Conveyance of your drivers. This year’s Safe Driver and Safe Fleet Awards will be conducted at the beautiful Tacoma Country Club in Tacoma, Washington. Webinar - What Is Retro? Here is your opportunity to have all your questions regarding WTA's Group Retrospective Rating Program answered. The TDC Planning Committee has finalized plans for the Truck Driving Championships to be held at the Tacoma site of Reddaway located at 802 E 11th St, Tacoma, WA 98421. Come support the WTA Scholarship fund, and have some fun at the same time. 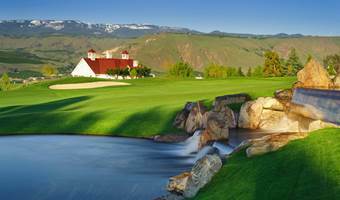 This year's WTA Eastside Scholarship Golf Classic will be held at the Beautiful Apple Tree Golf Course in Yakima, WA. Multiple opportunities await you in Washington's transportation industry! Not a driver? No problem! We're hiring for all career types. Everyone is invited to help plan this year's Truck Driving Championships. Please come and be part of the team that plans and executes this exciting event. Meetings are held the last Thursday of each month. This year's conference will be held at the beautiful Davenport Grand Hotel in downtown Spokane, WA. This workshop is presented by the Board of Directors of the Safety Management Council to train Safety and Compliance personnel. Bring a friend to the WTA booth at the DSU Truck Expo held at the Portland Expo Center. WTA staff will be promoting the benefits of membership and giving away prizes. Introduce us to your friends who would benefit from membership in the WTA, and help our association grow! Register now for the Fleet Safety Certification Courses in Puyallup.